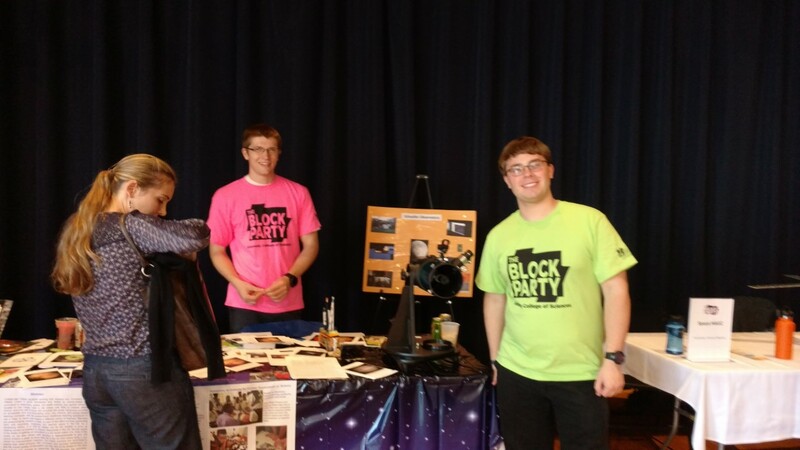 The Active Astronomy Roadshow traveled to Cumnock Hall on North Campus to run a table at the Kennedy College of Sciences 2nd Annual Block Party! 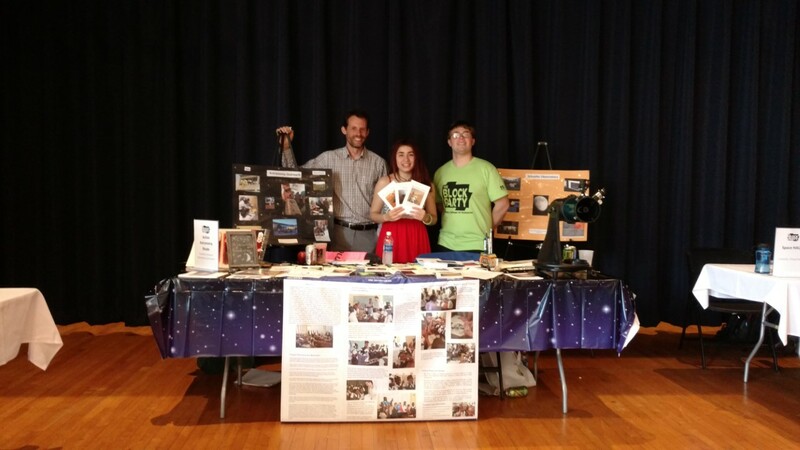 With a telescope and astronomy cards in hand, Silas, Andy, Sarah, and Tom set up activities for university students to play that would be used in our classroom activities. Students, faculty, and staff got to try their hand at ranking the planets, along with a few other everyday objects, by temperature, mass, gravity, and diameter with a glow in the dark star as a prize for players. 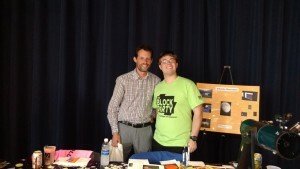 Players used all kinds of methods to reason through the ordering of the objects and I personally learned a few new ways of thinking about how planets could be thought about. Participants also were able to point and focus our reflecting telescope at points around the hall to get a feel for the wonders of stargazing.The Block party was a great hit and we were able to spread the word about our local astronomy activities, the Schueller Observatory, LoCSST, and the HDSC all while having some fun. In the end, 11 individuals were interested in hearing more from us in the future and learning about how they can help out and 1 student even offered to help out with the previously stalled weather balloon project. Further, an astronomy club is now in the works and we hope that it is successful in its endeavors. 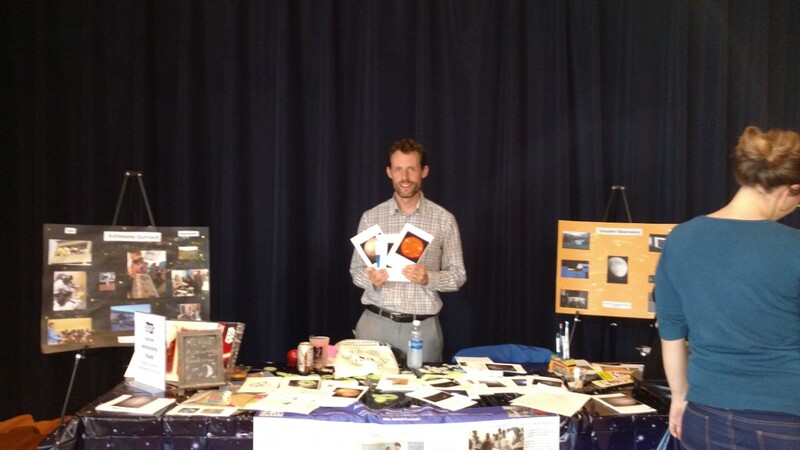 I hope to have some information about the outreach activities at local schools soon!